For at least ten thousand years, human beings have been plotting the movement of the stars, studying the heavens, constructing calendars, and erecting monuments to track the procession of the constellations and heavenly bodies across the night sky. 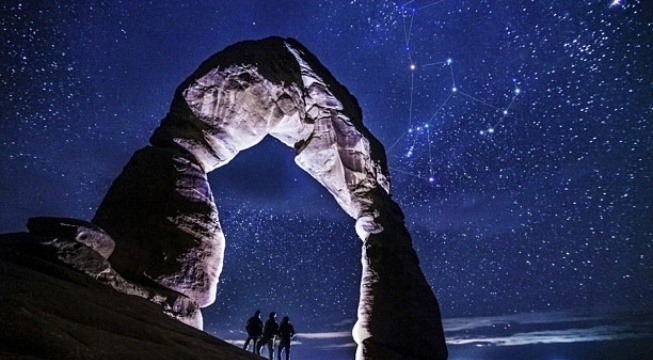 Many ancient cultures shared the belief that we came from the stars. Perhaps this is why so much time, effort, and energy has been put into the study of the celestial bodies from ancient times right up through today. Several constellations and stars have played an important role in ancient mysteries and mythology surrounding the celestial origins of our species. In the places where these legends emerge, we find structures that correlate with the position of these stars and constellations in the sky. What were our ancient predecessors trying to tell us with this information? The constellation of Orion is one of the most prominent and recognizable constellations in the sky, as its location on the celestial equator allows it to be seen all over the planet. It was of central importance to many ancient cultures, as alignment with the position of the stars matches up precisely to various ancient structures, from the pyramids at Giza to those found at Teotihuacán in Central Mexico. We know from The Pyramid Texts, which are among the oldest religious writings in the world, that the ancient Egyptians believed that the gods descended from the belt of Orion and from Sirius (the brightest star in the sky) in the form of human beings. This is critically important to Egyptian cosmology, as Orion was associated with the god Osiris and Sirius was associated with the goddess Isis, who together are said to have created the whole of human civilization. The three pyramids at Giza are some of the most mysterious, perplexing, and magnificent ancient structures in the world. Together they demonstrate the concept of sacred alignment, as they form a precise three dimensional map of the stars in the belt of Orion onto the ground. Their size and placement also takes into account both the visible brightness and location of the stars within Orion’s belt, as the two larger pyramids are lined up perfectly in comparison to the smaller offset pyramid of Menkuare. Additionally, the Giza plateau is located at the geographical center of the Earth, which means that it is positioned exactly in the center of the Earth’s landmass. The central pyramid, Khufu, is not only the last remaining of The 7 Wonders of the Ancient World, but is more aligned to true North than the Greenwich observatory in London. Located in the highlands of central Mexico, 35 miles northeast of present day Mexico City, lies the ruins of the ancient city of Teotihuacán, another marvel of the ancient world with ties to star constellations. Archaeologists and scholars debate the age of the site, although it is generally agreed upon that the city flourished for at least 500 years before it completely collapsed by the 7th century of the common era. The city was one of the largest in the world at its peak, with an approximate population of 150,000-200,000 people. Despite the fact that the city predated the Aztecs by several centuries, they called it Teotihuacán, meaning the “Place of the Gods”, as they believed that it was the place where the current world was created. Like many sacred sites from the ancient world, the observatories, pyramids, and structures at Teotihuacán are constructed mirroring celestial alignments. The complex at Teotihuacán contains three pyramids, two larger and one smaller, boasting a similarity to the layout of the pyramids at Giza and forming another correlation to the belt of Orion. The Pyramid of the Sun is said to be aligned with the Pleiades, another constellation of great importance in myth and lore that is often connected to the constellation of Orion. The Hopi are a Native American tribe whose cosmology, monuments, and landscape have a deep connection with the constellation of Orion. For many generations, they built and abandoned villages before settling on an area comprised of three mesas in the northeastern part of Arizona, where they have been for over a thousand years. The natural structure of the three mesas mirrors the three stars in the belt of Orion, and it is said that this is why the Hopi chose to settle in this location. They believe this place to be the center of their universe, where they can make contact with the gods. 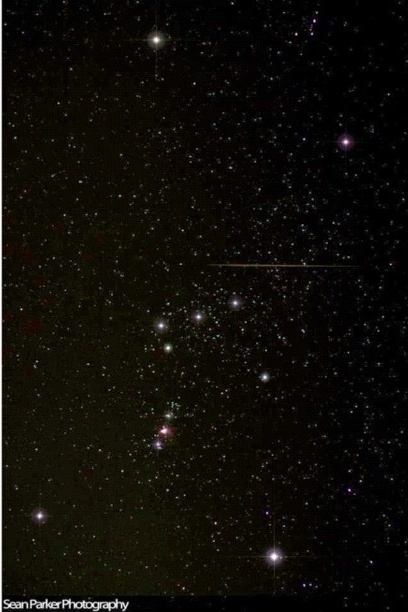 Furthermore, when connected to other Hopi monuments and landmarks around the southwest, the collective sites are said to map the entire constellation of Orion.